Through my early years I suffered through abuse, not feeling good enough and going through a period of rebellion and then a desert. It wasn't until a few years ago that I began to see who I was in Christ and began a full life in Christ. I began a journey 4 years ago asking God to create His story for my life. And God through his grace, began a rebirth of love to those who were lost in the cycle of destruction. Abuse, Addiction and trauma is real and comes in many forms. In my own family, I was dealing with issues of chronic pain, addiction and mental health issues. I saw the cycle of depression, anxiety and how it can lead to addiction to escape reality and destroy the family unit. 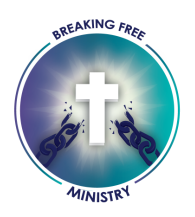 Breaking Free Ministry,Inc was birthed after I witnessed the struggle in my own family and with a friend's son. But it is more than that. It was my feelings of loss of identity and not understanding who I was in Christ. I believe healing begins with understanding your identity in Christ and requires healing, deliverance and mentorship, and discipleship to be able to walk in freedom. I hope you will join me on the journey and give women the hope they need to end of the destruction and death that abuse, addiction, and sexual exploitation can cause to our friends, our families and ourselves. Psalm 34:17-18 The righteous cry out, and the Lord hears them he delivers them from all their troubles. The Lord is close to the broken-hearted and saves those who are crushed in spirit. ​Johnathan Stidham, Advisor to Executive Director and Board Member.